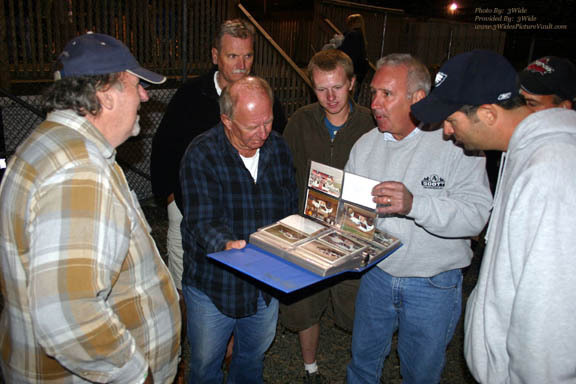 George Koyt (left) with Modified and Winston Cup driver Tighe Scott looking at photos from George's collection of the many cars Tighe had driven throughout his career in this 2008 photo from New Egypt Speedway. We received word on Thanksgiving Day that George Koyt has passed away. George was the biggest race fan I know. 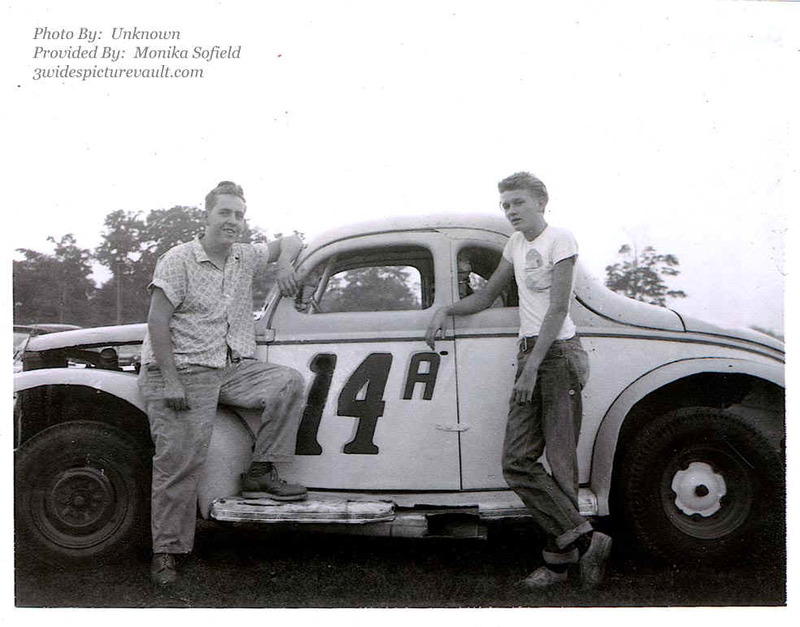 Years ago, he and his wife (of 42 years) had traveled the country visiting speedways in almost every state. 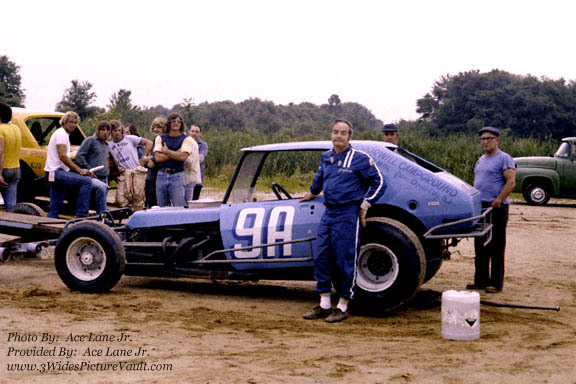 In more recent years, George had attended races at Middletown, Grandview, Selingsgrove, and Bridgeport, but had made New Egypt Speedway his Saturday Night home. George had organized all of his personal photos that he had shot (mostly from the fans perspective) in blue binders. 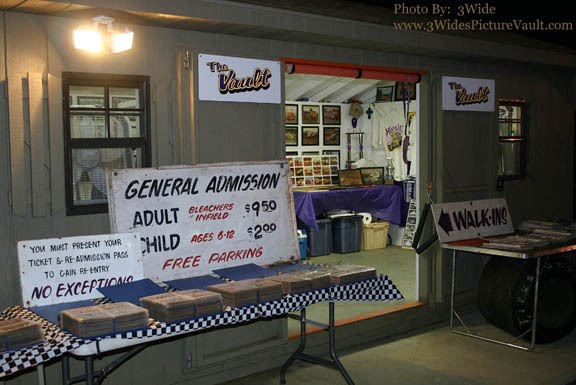 They included photos from the many racetracks visited through the years - Flemington, Harmony, East Windsor, Middletown, Bridgeport, Reading, Nazareth, Dorney Park.. and more. We can't begin to count the amount of people that enjoyed looking through George's photos. He did it because he knew that photo was making somebody happy. That was George. George grew up in the Hope, NJ area and had served our country in the armed forces at which time he worked on jet engines. 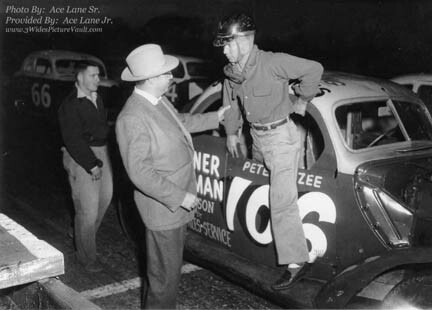 He used that training and his love for "Hot Rods" and became a long time Automotive Mechanic in the Langhorne PA area. 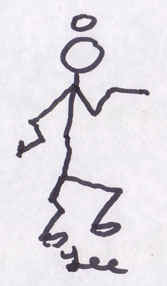 George had recently retired from McCafferty Ford (Langhorne PA) a few years ago. 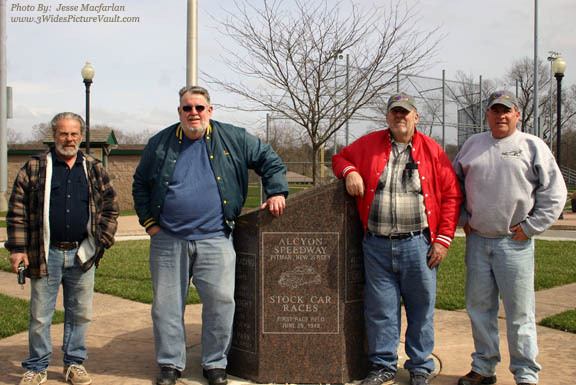 George (2nd from right with his red "Selinsgrove Speedway jacket) and the rest of us pose for a photo at the site of the former Alcyon Speedway with John Seyler (far left) and Russ Dodge (left) and me (far right). 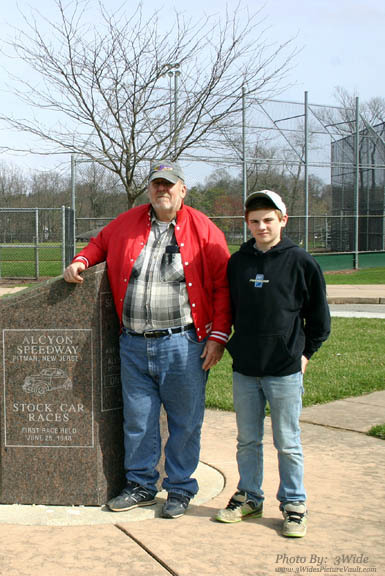 In March of this year, George, my son Jesse and I, along with Racing Historians Russ Dodge and John Seyler made a "South Jersey Lost Speedway's Trip" and before the day was over, we had walked the surface of Vineland and Atco Speedways, and stood on the former site of the Alcyon Speedway in Pitman, NJ. I know that it was a favorite day of George's and we planned on getting out to some other "lost speedways" in the future. 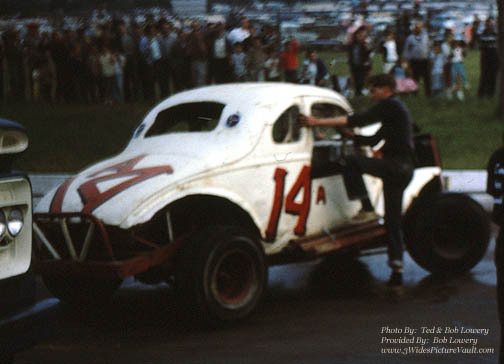 Lee Sofield (left photo) on the right, next to his #14A in this 1961 photo, and Lee climbs out of his car at Flemington (right photo). 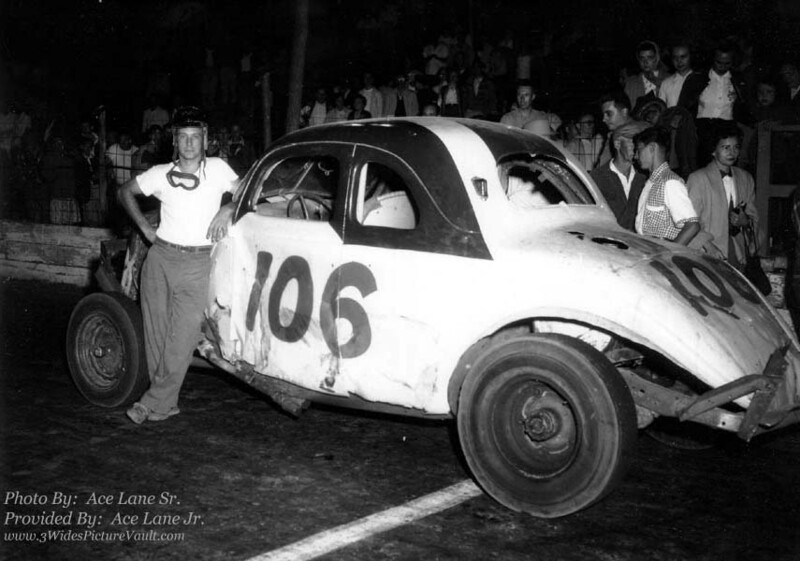 Word has reached us of the passing of 60's racer Lee Sofield. I was fortunate to meet Lee a few years back at his home in near Raritan, NJ and enjoyed the chance to talk with him. Our condolences go out to the Sofield Family. 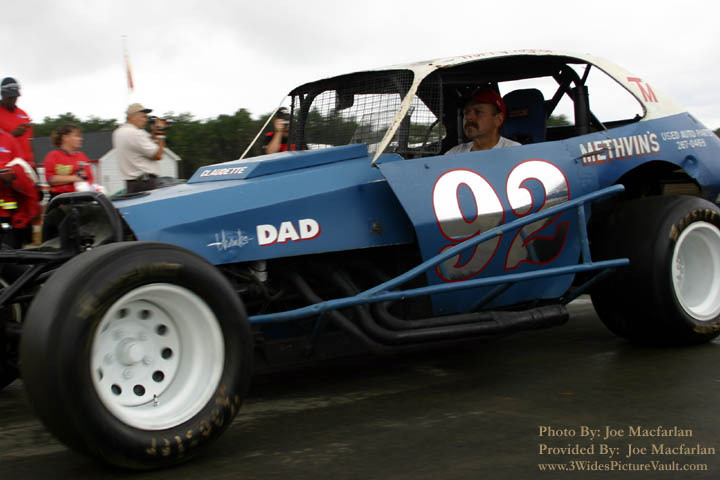 We'll always remember Jerry running his blue #9A at East Windsor and Pleasantville. Our condolences go out to the family of Jerry Camp. (March, 2010) We are saddened to hear of the passing of Vintage Car Owner Craig Ford. We got to meet Craig and speak to him on many occasions where Craig would display and participate in vintage events with his original #92 Pinto Modified which had been driven in the 70's by Harry Taylor. Craig was a great guy who I always looked forward to seeing, and who I will miss. Our condolences go out to the many friends and to the Family of Craig Ford. One of my racing heroes passed away yesterday. 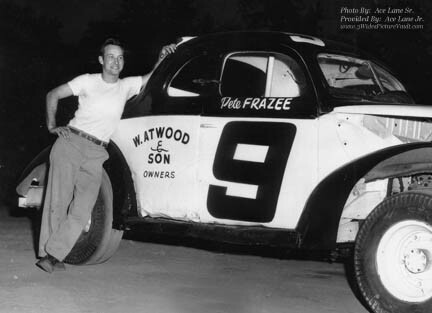 Pete Frazee was a real gentleman and one heck of a driver. To the Frazee family, I share in you loss. Photo from Ace Lane Sr. - Provided By Ace Lane Jr.